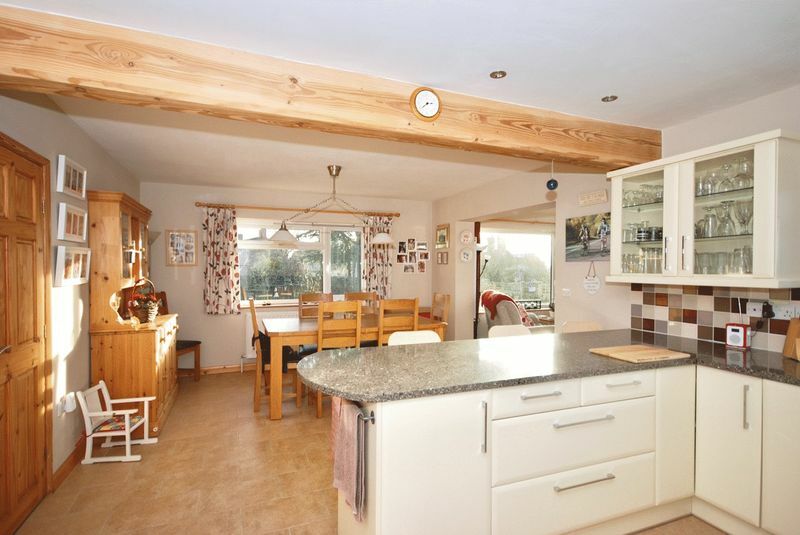 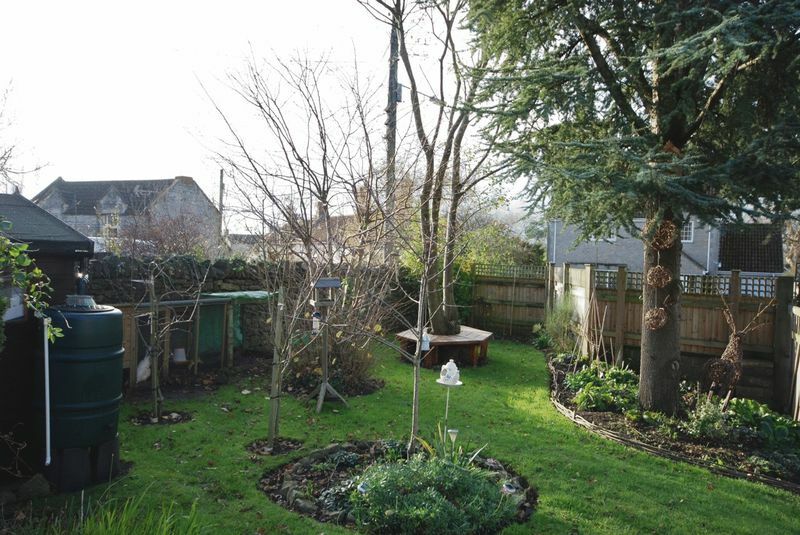 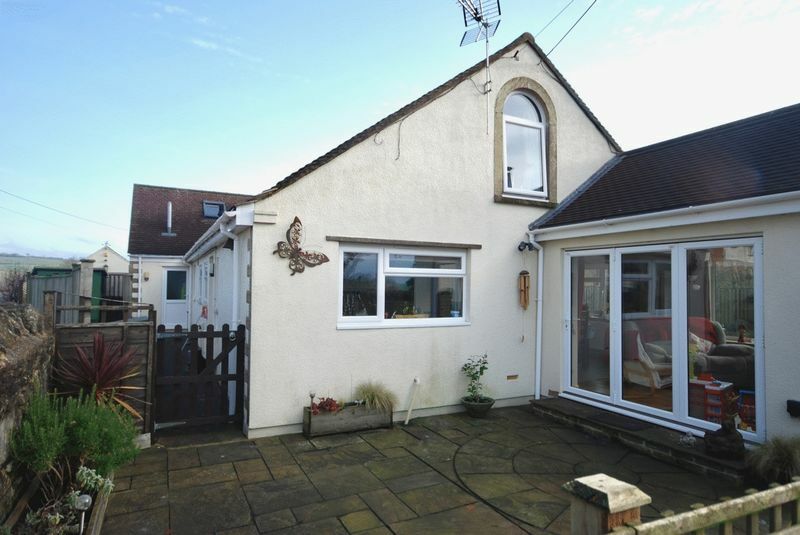 A generous and conveniently located 4/5 bedroom chalet style bungalow in the centre of the village of Evercreech, close to Bruton and Castle Cary. 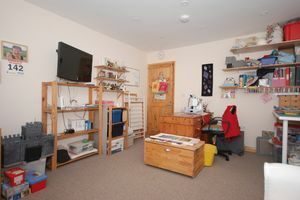 Over 2,500 sq. 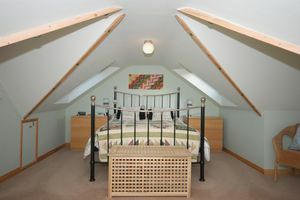 ft. of accommodation! A generous and conveniently located 4/5 bedroom chalet style bungalow in the centre of the village of Evercreech, close to Bruton and Castle Cary. Arundel has been extended and improved to now provide spacious, flexible and stylish accommodation including a sitting room, kitchen & dining room, sun room, utility, boot room, two ground floor bedrooms, bathroom, two double bedrooms on the first floor with the master enjoying a walk through cot room/study, dressing room and en-suite and a second shower room. 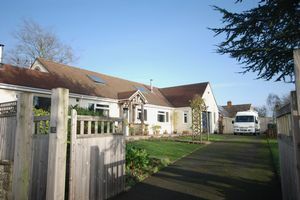 There is a garage with workshop space, a secure gated driveway providing park and well maintained, fully enclosed gardens. 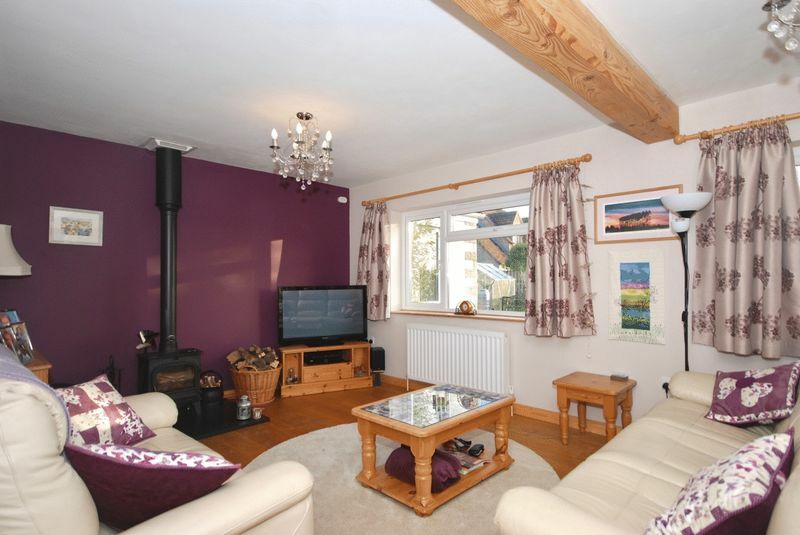 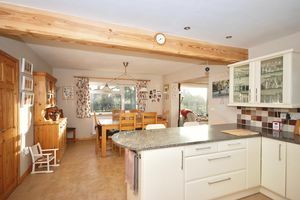 The house has been extended by the current owners first in 2010, then again in 2014 to create a fabulous home, suitable for many different family arrangements. 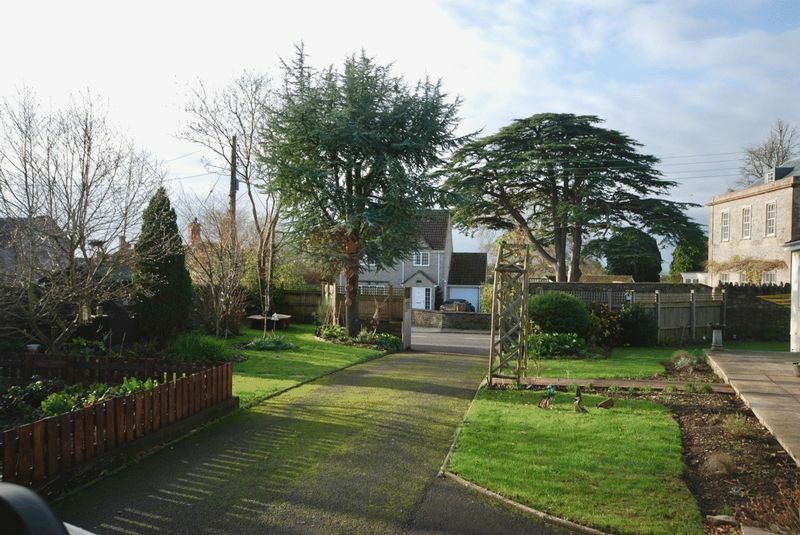 From the driveway, path with a pretty archway leads to the front door. 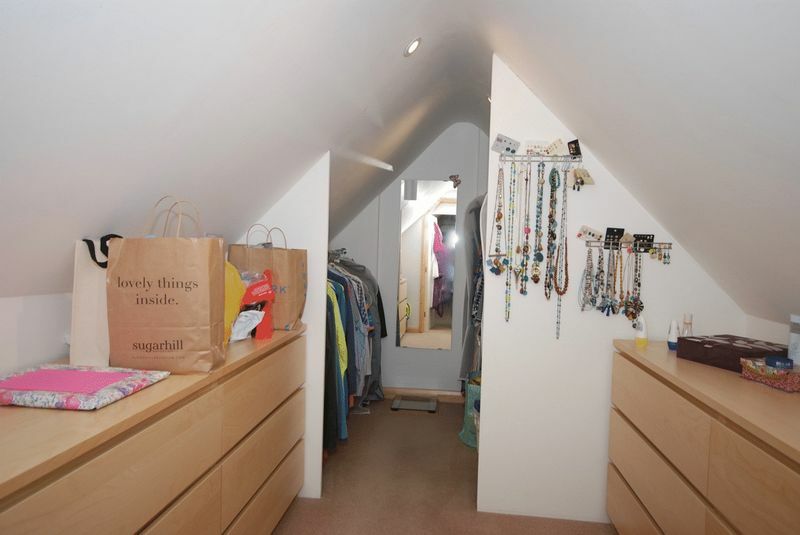 This enters the entrance hall which has a storage cupboard for coats and boots. 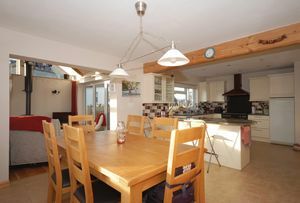 The kitchen & dining room is a lovely open plan space which leads through to the sun room with light coming in from all angles. 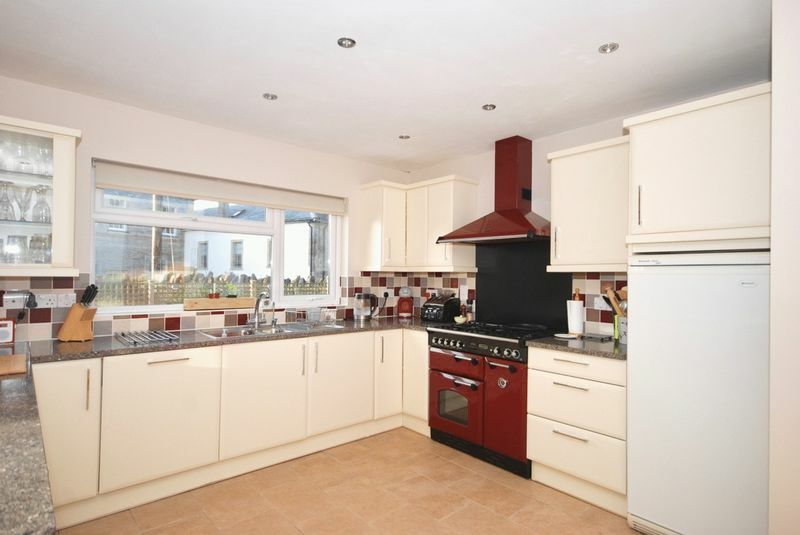 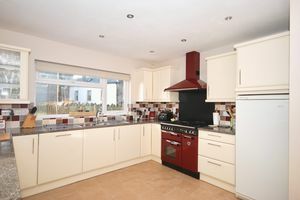 The kitchen itself has silestone worktops a gas and electric range cooker, a built in dishwasher and a breakfast bar. 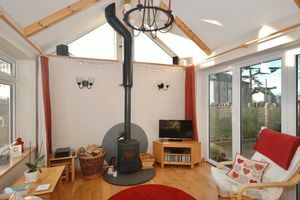 The tiled floor in the large dining area becomes engineered oak in the vaulted sun room with bi-folding doors to a courtyard and a wood burning stove on the far gable. 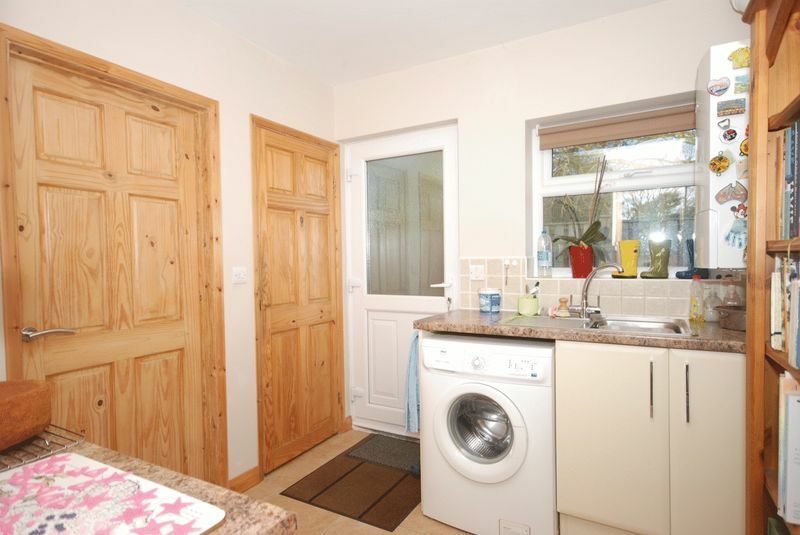 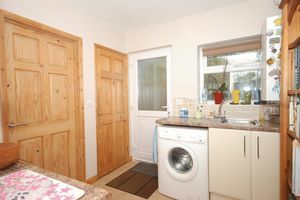 Adjacent to the kitchen area is the utility which has space for a washing machine, further storage and a rear door. 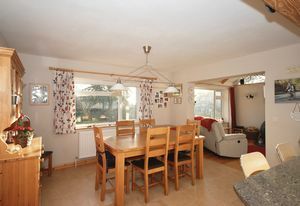 Leading back down the inner hall is the sitting room which, like the sun room, has oak flooring and a southerly aspect over the garden. 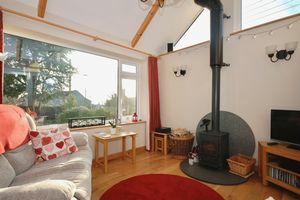 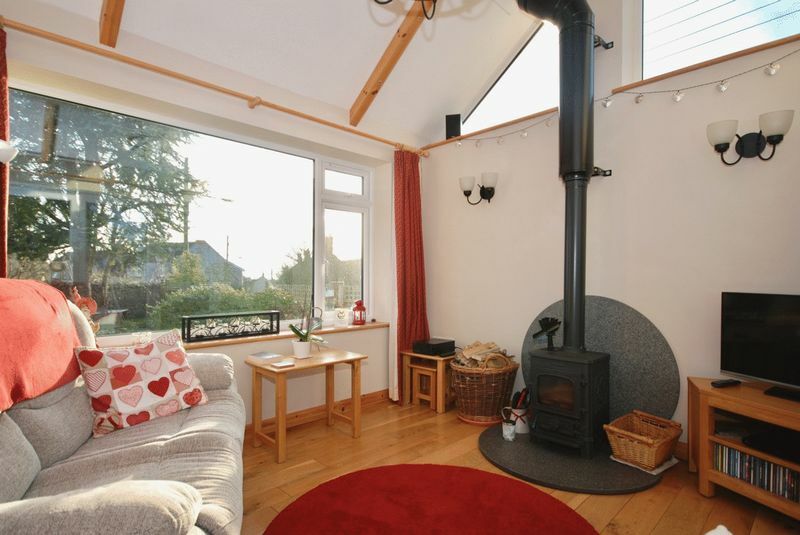 Within the room there is a wood burning stove with granite hearth. 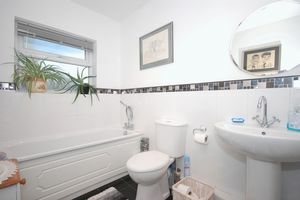 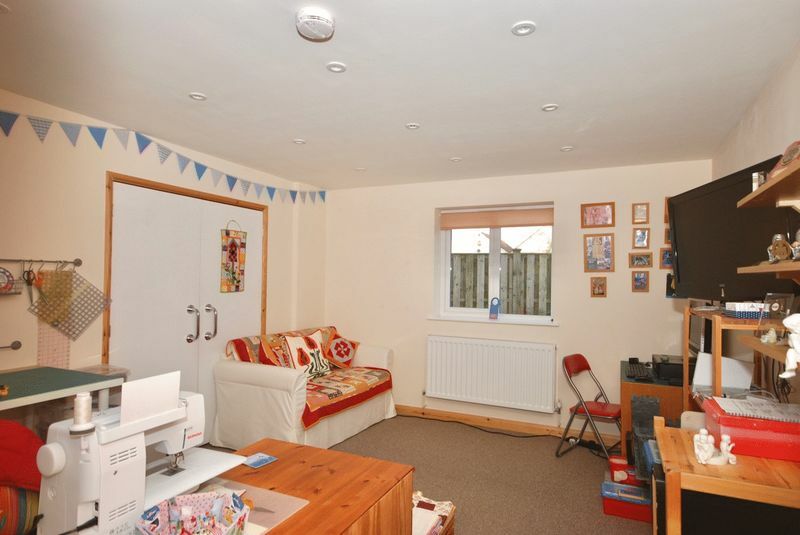 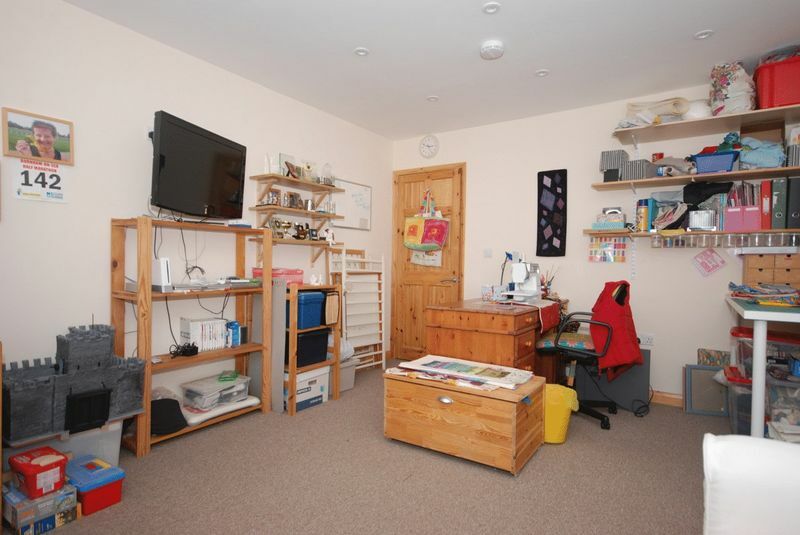 There are two bedrooms on the ground floor, the larger of which is currently being used as a hobby room thanks to it’s workable size and big storage cupboard which could in fact be converted into an en-suite shower room if desired, subject to the necessary consents. 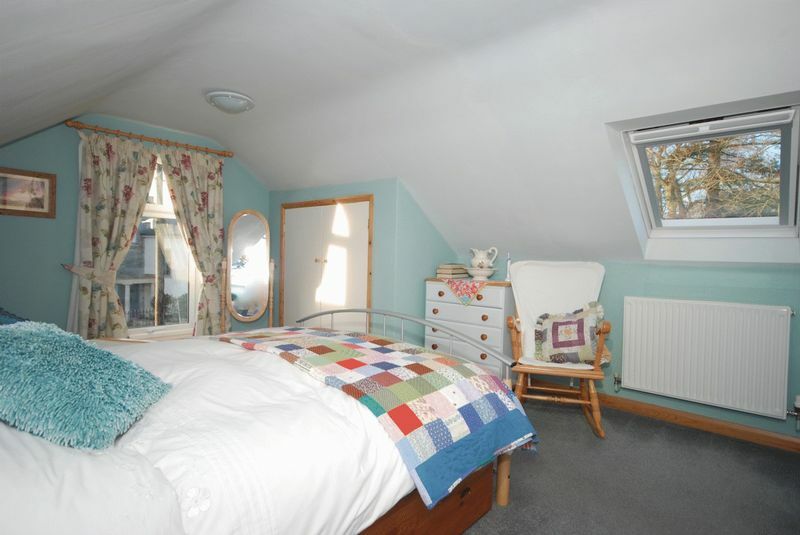 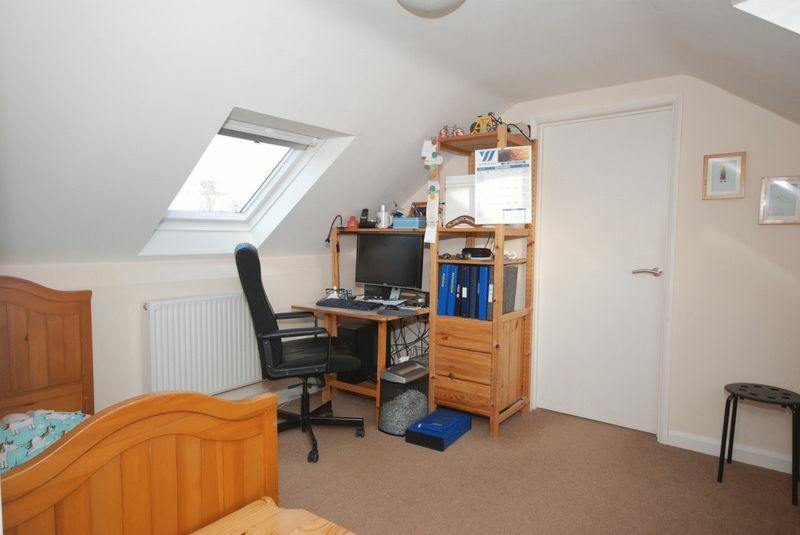 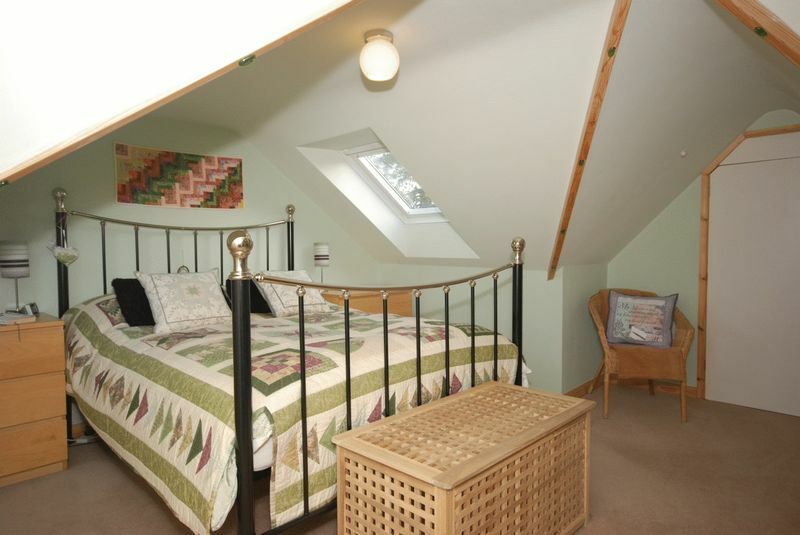 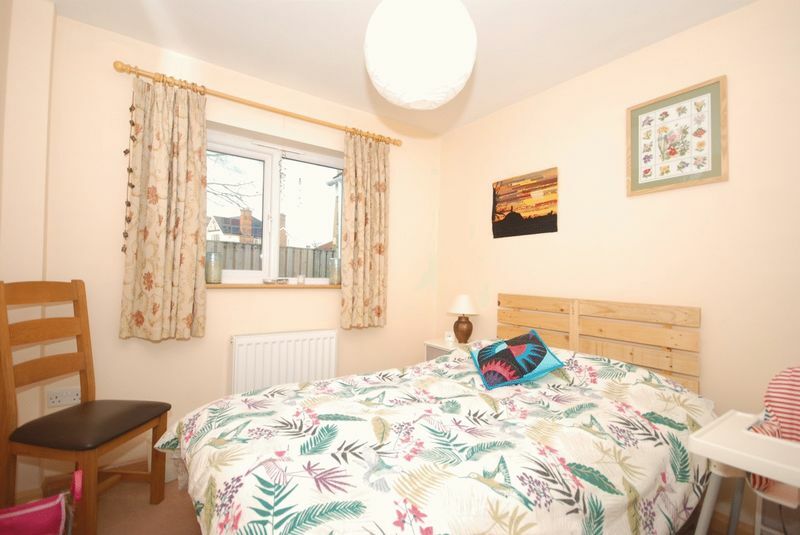 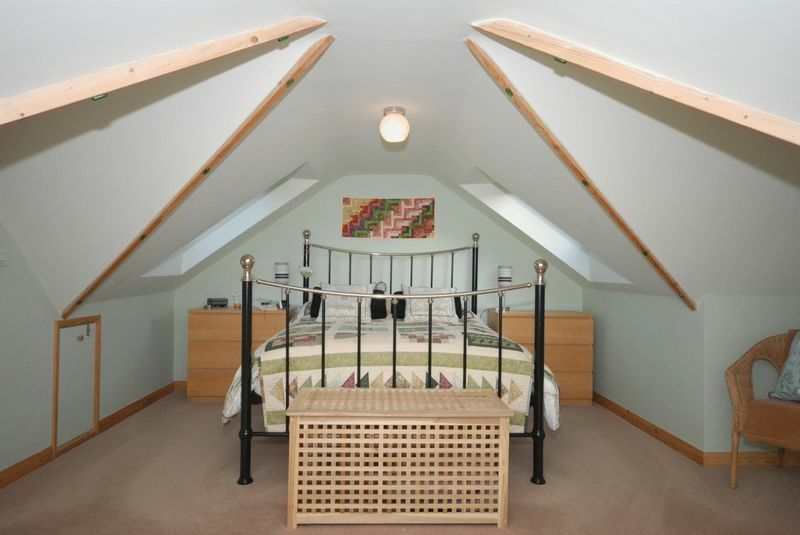 Further to this, there is a rear entrance way with boot room meaning this bedroom could be used as part of a self contained annexe, again subject to the necessary consents. Both bedrooms are currently serviced by a bathroom on the ground floor. 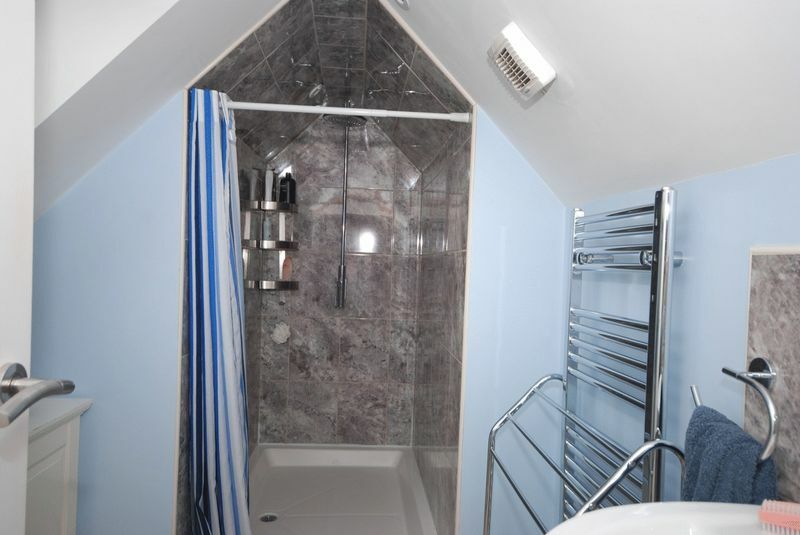 The first floor was converted in 2014 to create two stylish double bedrooms and a shower room. 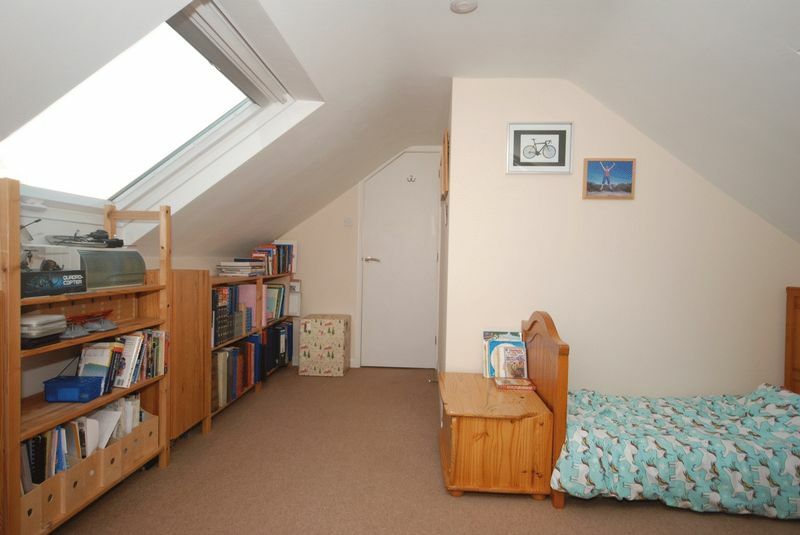 The master bedroom is accessed through a walk-through room which could equally be used as a study or 5th bedroom. 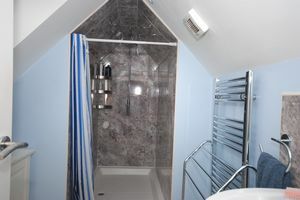 The bedroom itself is a well proportioned double and doors on either side of the room open into an en-suite shower room and dressing room. 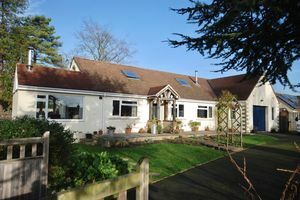 One feature of this property that was thoughtfully retained during the extensions is the ability to walk round the entire house ensuring all parts of the garden can be utilised. In front of the house is the driveway which provides parking for several vehicles with gates offering good security. From the driveway there is a garage with electric up and over door and easily enough room for additional workshop space within. 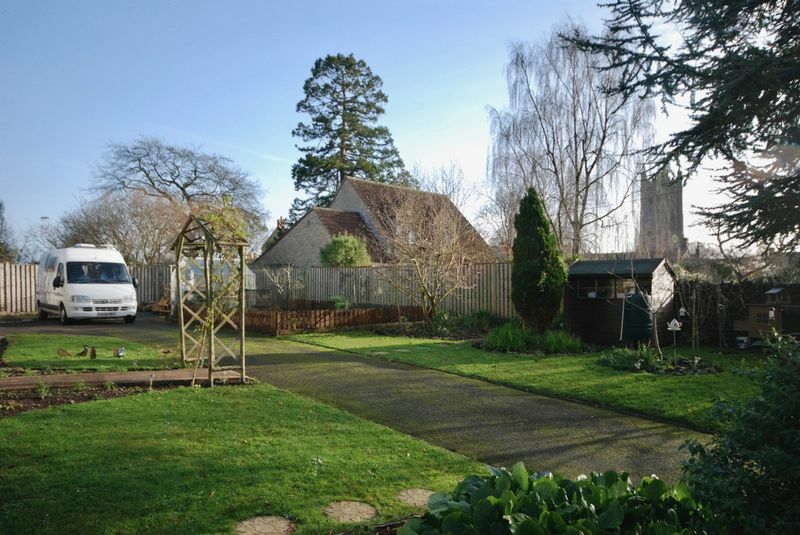 Flanking the driveway on both sides are private, partially walled gardens with mature trees and shrubs, lawned areas and productive vegetable patches. Behind the house are useful storage areas with sheds and just outside the sun room is a delightful courtyard with great privacy, sheltered from the wind - perfect for a glass of wine in the summer months. Mains drainage, gas, water and electricity. 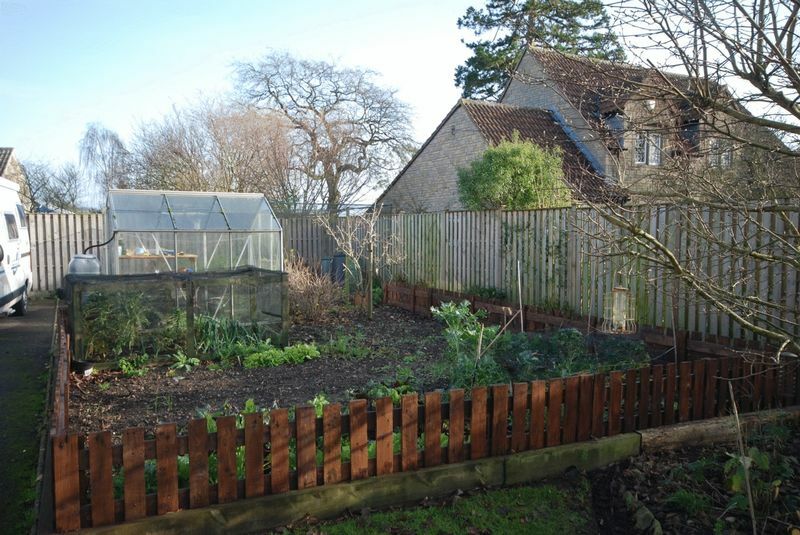 From our Castle Cary office, head towards Shepton Mallet on the A359. 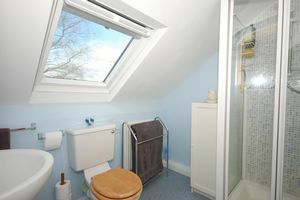 Take the second exit into Evercreech. At the T-junction turn right onto the High Street and after 100 yards Arundel can be found on the left hand side.